The Association of Illinois School Library Educators (AISLE) promotes life-long learning by the students of Illinois. AISLE provides leadership and support for the development, promotion, and improvement of the school library media profession and programs in Illinois. The American Library Association offers a variety of helpful tools for libraries, including Advocacy and Awareness Campaigns, Censorship, Early Literacy, Performance Measurement, Programming, Promotions, Trustees, Vendors, and much more, with guides, websites, and groups that address topics across the entire industry. Canva is an online graphic design website, that offers an easy drag-and-drop feature with hundreds of fonts and millions of images. Create professional newsletters, presentations, or marketing materials with this easy to use service. CARLI is the Consortium of Academic and Research Libraries in Illinois. Illinois academic libraries have been consortial for over 30 years. Since CARLI began operations in 2005, this collaboration has grown increasingly effective and coordinated, establishing CARLI as one of the premiere library consortia in the United States. Our 134 member libraries–individually and collectively–are committed to meeting the information and research needs of their 900,000 students, faculty and staff. The CFPB offers tools, financial education training, ideas, and materials for libraries. "We want to make libraries the go-to source for financial education. We're working with libraries to provide websites, worksheets, guides, and other information to help with a consumer's money decisions." EveryLibrary is a nonprofit social welfare organization chartered to work on local library ballot initiatives. They do this by helping public, school, and college libraries win bonding, tax, and advisory referendum, ensuring stable funding and access to libraries for generations to come. They are the first and only national organization dedicated exclusively to political action at a local level to create, renew, and protect public funding for libraries of all types. We provide tactical and operational support to local voter awareness campaigns, seed and sustaining monies to local ballot committees and PACs, as well as conducting direct voter advocacy in support of library taxing, bonding, and referendum. Our training and coaching for library staff and leadership in advance of an Information Only campaign is uniquely focused. 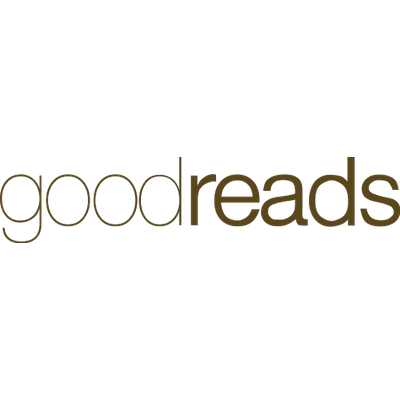 Goodreads is described as “Facebook for books.” It is a bookish social networking site where you can find out what your closest 20 million friends and colleagues are reading. Their mission is "to help readers find good books to read." You can find book reviews, send and receive recommendations to friends, follow favorite authors, and sign up for a reading challenge. It has become a community of passionate readers, and their highly anticipated annual Best Books list, or the Goodreads Choice Awards, are the only major book awards decided by readers. The Goodwill Community Foundation, through their GCFLearnFree.org site offers free online technology training to users of all skill levels. From seniors learning computer basics to seasoned professionals brushing up on Microsoft Office to unemployed individuals gaining career skills to students practicing math, everyone can find something useful at GCFLearnFree.org. For more than a decade, the GCFLearnFree.org program has helped millions around the world learn the essential skills they need to live and work in the 21st century. 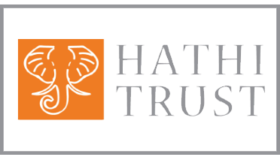 HathiTrust Digital Library is a large-scale preservation collaboration project from research and academic libraries that provides public access to digitized content from several digitization initiatives, including Google Books, Internet Archive, and local library partners. Hathi, pronounced "hah-tee", is the Hindi word for elephant, an animal famed for its long-term memory. Health Science Librarians of Illinois sponsors and supports activities which promote and develop health science library services in Illinois. Our members promote health literacy by providing reputable health related resources to Illinois health care providers and consumers through resource sharing of library collections through interlibrary loan, training in selection of and access to health-related resources, and collaborative reference initiatives to respond to provider and consumer health questions. Illshareit.com helps customers find nearby SHARE libraries. Customers can search by their home address, town, or zip code, using Google Places to provide accurate search results. There are different color pins to identify the different types of libraries (school, college, special, or public), and the site also links to the library’s OPAC. ILLINET, established in 1975, is a statewide library alliance, representing over 3,000 academic, public, school and special libraries that are members of Illinois' library systems (RAILS, IHLS and CPLS). With the support of the Illinois State Library and the library systems, ILLINET libraries collectively provide a strong foundation for statewide resource sharing to meet the diverse information needs of Illinois citizens. The online consortial catalogs, known as Local Library System Automation Programs (LLSAPs) and the Illinois statewide Library delivery service (ILDS) funded by the Illinois State Library through grants to IHLS, RAILS and ILDS, which is managed by CARLI are key components of statewide resource sharing. LLSAPs contain the holdings of ILLINET library collections, and provide access to circulation and interlibrary loan services. Online access to library collections, coupled with statewide delivery ensures a strong network of resource discovery and fulfillment throughout Illinois. They also maintain the ILLINET ILL Code, which governs interlibrary loan policy within ILLINET. The Illinois State Library collects and analyzes resource sharing and reciprocal borrowing data via the ILLINET ILL Traffic Survey. Local libraries can also view their own ILL statistics online. Completion of the ILLINET ILL Traffic Survey is required of all ILLINET member libraries in accordance with administrative rule [23 Ill. Adm. Code 3030.200 (a)(2)(O)]. The Illinois Digital Archives is a repository for the digital collections of the Illinois State Library as well as other libraries and cultural institutions in the State of Illinois. The Illinois Digital Newspaper Collections contains 118 newspaper titles, 140,474 issues comprising 1,488,968 pages and 6,887,660 articles. The Illinois State Archives serves by law as the depository of public records of Illinois state and local governmental agencies which possess permanent administrative, legal, or historical research values. Its collections do not include manuscript, newspaper, or other nonofficial sources. The Illinois State Library provides leadership in information access and supports essential and collaborative library and literacy services. In addition, it is the principal information resource for state government. The library has a collection of more than 5 million items and subscribes to numerous electronic databases (especially helpful for genealogy research) and services that allow patrons access to thousands of additional resources. The State Library serves as regional federal documents depository, maintains an authoritative collection of historic and contemporary Illinois documents, and houses more than 185,000 maps. The State Library provides support, through grant programs, to over 3,370 public, academic, school, and special libraries throughout Illinois that together comprise the Illinois Library and Information Network (ILLINET). These grant programs are used to expand library services, enhance technology, build and renovate libraries, as well as provide support for the statewide delivery service for library materials. Basic adult literacy instruction is provided through grant programs administered through the State Library's Literacy Office. Additionally, the Talking Book and Braille Service (TBBS) serves the needs of the visually impaired through support of the activities of the Illinois Network of Libraries Serving the Blind and Physically Handicapped. For more information, please see the entry for the Illinois State Library Talking Book and Braille Service (TBBS), on this resources page. The Illinois State Library also manages the Illinois Center for the Book, a programming arm of the Illinois State Library that promotes reading, writing and author programs with the following mission: Nurturing and connecting readers and writers, and honoring our rich literary heritage. 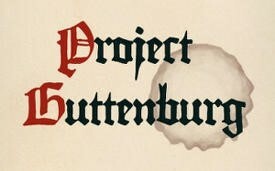 For more information, please see the entry for the Illinois Center for the Book, on this resources page. The Illinois State Library also manages ILLINET, a statewide library alliance. They are responsible for the ILLINET ILL Loan Code and the ILLINET ILL Traffic Survey. For more information about ILLINET, the ILLINET ILL Loan Code and the ILLINET Traffic Survey, please see the entry for ILLINET on this resources page. The Illinois State Library manages the Talking Book and Braille Service (TBBS) program. As the Regional Library, TBBS acts as the liaison to the National Library Service for the Blind and Physically Handicapped (NLS) and circulates books to all residents enrolled in the Talking Book and Braille Service. Talking book programs provide library service to individuals who are unable to read standard print due to a visual or physical impairment. Accessible materials (digital audio and braille books and magazines) are conveniently mailed to and from patrons wherever they reside, and the program is tax supported so there is never any out-of-pocket expense for postage or materials. TBBS currently serves approximately 12,500 Illinois residents, though many more are eligible. Reader advisors are like personal librarians for talking book patrons and the point of contact for ordering books, managing accounts, and answering any questions. The TBBS collection contains over 84,000 book titles across all genres, including bestsellers, nonfiction, mysteries, and children’s books. Patrons can access over 70 digital magazines, braille materials, foreign language materials, and descriptive DVDs. And just like your public library, if you can’t find a book in the collection, it may be available via interlibrary loan. Patrons also have access to over 70,000 titles available for download through the Braille and Audio Reading Download (BARD) catalog and apps. After applying for service, each patron receives a free digital player to listen to books. Sturdy, portable, and easy to use, the machines are about the size of a hardcover book. The players have large navigation buttons with built-in audio instructions, and the rechargeable battery lasts over 29 hours so books can be enjoyed on the patio or on the go. Additional features include a headphone jack, a USB port, and sleep and bookmark functions. Reading is for everyone, and talking books provide the stimulation and enrichment people need to maintain independence and stay engaged with their communities. LibraryReads is an excellent readers’ advisory tool. 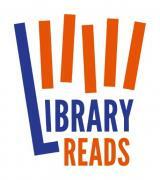 It is a monthly nationwide library staff picks list for adult fiction and non-fiction. Their goal is to help connect librarians’ favorite books to as many readers as possible, while drawing upon the incredible power that public library staff has in helping to build word-of-mouth for new books, and the important role that libraries play in creating audiences for all kinds of authors. LibraryThing is “book-geekery,” a site where you can create an easy, library-quality catalog for your personal library, using Amazon, the Library of Congress, and 2231 other libraries. With a free account, you can catalog up to 200 books. It also offers a community of readers to discuss your favorite books, and find new books to read, without influence by commercial marketing. 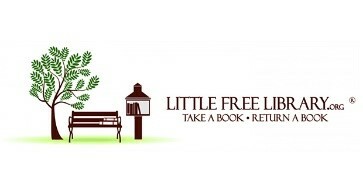 The Little Free Library is a movement intended to increase book access and forge community connections by helping people around the globe start and maintain Little Free Library book exchanges. They provide support to volunteer Little Free Library stewards by providing free building instructions, online resources, and ongoing support from Little Free Library staff, access to free or discounted books through our partners, and an online store that offers Library kits and pre-built Library models. They also maintain a world map of registered Little Free Libraries to help people find and share books wherever they are, and donate Little Free Libraries to communities where they can make a big difference and provide access to books through our Impact Library Program. The Reference and User Services Association, acting for the American Library Association in its adoption of their Interlibrary Loan code, recognizes that the sharing of material between libraries is a core library service and believes it to be in the public interest to encourage such an exchange. They provide a Interlibrary Loan Request Form for libraries to send a request to any library that has the requested item. 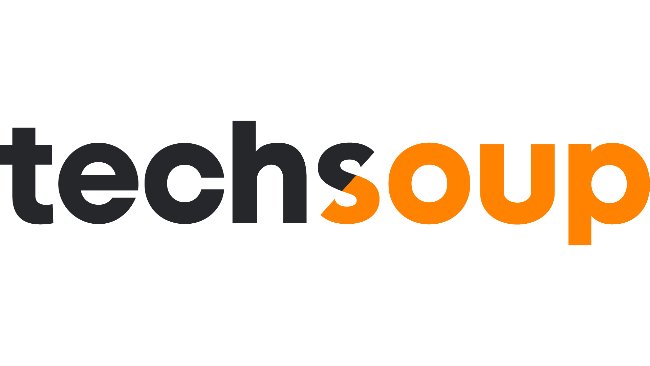 TechSoup is a technology product philanthropy service that truly serves nonprofits, libraries, and foundations across the country, and around the world. They offer a product donation program, which provides eligible organizations with discounted software, hardware, services, and training. TechSoup's catalog includes more than 375 products from over 100 companies like Microsoft, Adobe, Cisco, Intuit, and Symantec. They also offer useful technology resources through their blog, webinars, forums, newsletter, articles, and how-tos. Beginning in 2001, the Illinois State Library in collaboration with a long list of e-resource providers launched Try-It! Illinois, an extensive database trial for Illinois libraries. Since then, each year ILLINET member libraries, their staff, and patron communities have been invited to sample and evaluate a wide variety of electronic resources for a two-month period. The annual Try-It! Illinois program runs from October 1–November 30. Past vendors have included ABC-CLIO; Alexander Street Press; Capstone, Inc.; CQ Press; EBSCO; Facts on File; Gale-Cengage Learning; Oxford University Press; ProQuest; Scholastic, Inc., among many others. 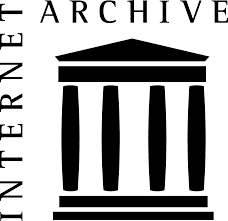 The Wayback Machine is a digital archive of the World Wide Web and other information on the Internet created by the Internet Archive. The service enables users to see archived versions of web pages across time, which the archive calls a "three dimensional index.” Sites can also be captured on the fly by visitors who enter the site's URL into a search box. The intent is to capture and archive content that otherwise would be lost whenever a site is changed or closed down. 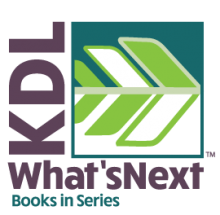 The Kent District Library, in Kent County, Michigan, created the What's Next®: Books in Series Database of Kent District Library to help search series fiction. They define a series as two or more books linked by character(s), settings, or other common traits. The database is searchable by author last name, author first name, name of a series, book title, category or genre.